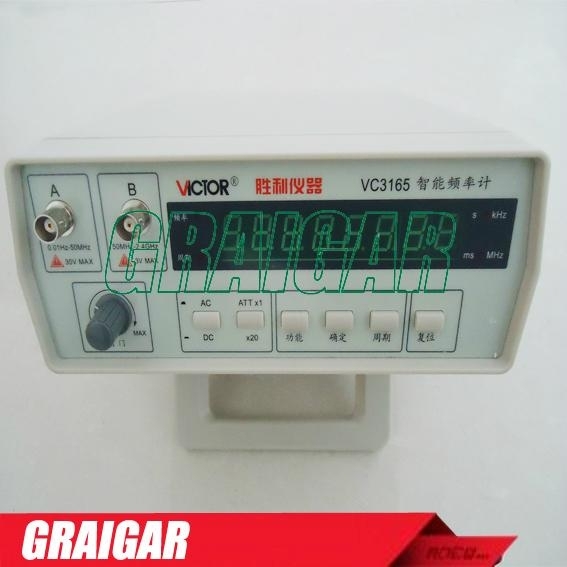 This frequency counter (VC3165) measures signals over a wide range from 0.01 Hz to 2.4 GHz. The gate time is continuously varying from 100ms to 10s. All functions in VC3165 depend on a single CPU. A crystal-controlled temperature circuit provides a constant compensation for temperature change, thus reducing measurement errors typically caused by temperature drift. The Channel B (CH. B) input has an attenuator (x1, x20), AC/DC coupling for a low-pass filter. Frequency, period and equal-precision measuring. 3 step function selections : Work state, Unit and 8-Digit LED display. Operating environment : 0°C - 50°C, 10 - 90% R.H.